Follow Mikiten Architecture's board Universal Design on Pinterest. 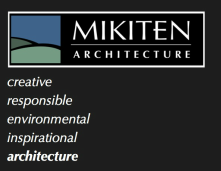 Follow Mikiten Architecture's board Design Data on Pinterest. Follow Mikiten Architecture's board Hand Drawings on Pinterest. Follow Mikiten Architecture's board Architecture Patterns on Pinterest.